You are here: Home > T-Mobile’s HTC One S Makes Its Way To The FCC? 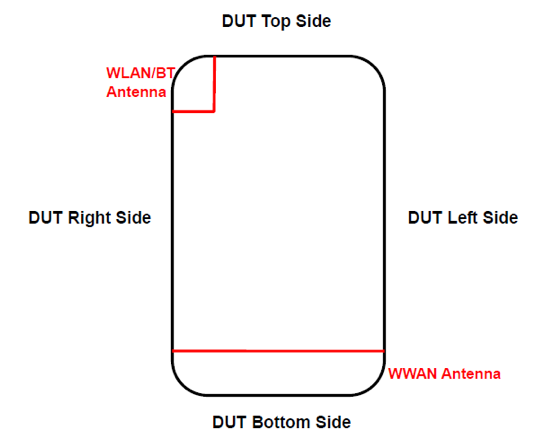 T-Mobile’s HTC One S Makes Its Way To The FCC? The FCC isn’t coming out and telling us exactly what the above device is, but as the boys at Engadget have noted, a T-Mobile friendly version of the HTC One S just passed through the FCC. This particular model comes equipped with a AWS 3G radio in addition to 850/1900 bands. There is some speculation that the PJ58100 is the One S for T-Mobile, not the device seen above, the PJ40100. The PJ58100 passed through the FCC around two weeks ago and the two devices differ in the location of the WLAN / BT antenna. Current intel points to an April launch for the HTC One S and we hope that passing the FCC is one of the last hurdles before launch. One device may be the International version of the HTC One S. Just like the Tegra HTC One X passed through the FCC even though nobody is slated,to carry the Tegra HTC One X in the USA. This sounds really unlikely. If HTC is going through the trouble of releasing a T-Mobile USA branded variant then they’ll stick the AWS radio on there for T-Mobile 4G. Also from what I understand the spectrum refarming won’t be possible everywhere due to limited PCS holdings in some markets but could be wrong on that, it would be great to have HSPA+ on att bands nationwide through T-Mobile. what? we can use ATT in Italy??? wow! Can’t use T-mobile USA in Germany. Trust me I am in Germany now. If want you use your phone then you better get ready to pay a huge roaming fee. oh spellcheck, why have you forsaken us? I am going to assume that you intentionally butcher the English language in your comments to get attention. I have to assume this because I don’t want to think that someone actually taught you to write this way. Its Dual-Core, but its still faster than the Quad-Core Tegra 3 since its using updated architecture (ARM A15 class), while the Tegra 3 is using last gen ARM A9. Yeah I saw the benchmark but still wouldn’t mind the tegra 3 4 plus 1. Pass. Rather have a next gen chip at the new 28/32nm using A15 class cores (S4 and others upcoming) instead of A9 @ 40/45nm process (Tegra 3). It will future proof u longer. Agreed. The S4 is definitely the better processor. However in all honesty, I have yet to see a true benefit from single to multi core processing other than 1080p video and as good as hi def video recording on a cell phone sounds, it will never replace a stand alone cam corder. Same thing with cell phone cameras (although that is no longer the case with some of these phones). The one particular reason why I would want the X vs the S is, 1) larger screen and 2) 720p display and 3) more internal storage (when comparing the internation X to the S, 32Gig’s vs 16Gigs, respectively). Two major con’s holding me back from immediately getting the One S, 1) 16 Gigs of internal (probably less depending on how it’s partitioned) and 2) 1650 mAh battery. Cant wait to see it live though. So yea, i’ll say just wait it out until more info on the SGS3 comes out. I’m cool rocking AT&T’s version of the One X but I was really looking forward to an all black unbranded model with 32 Gigs of internal. agreed, we are so not ready for quad-core. Dual processors still have tons of room to beast out in my opinion. One s isn’t that bad it does have that qualcomm s4 chip which if u see the benchmark it beat the tegra 3. Actually the One S should in turn be faster due to its lower pixel density, I point blank would prefer it over the One X because the resolution is already more than amazing. i’ll always go for the larger size. i have a nexus and there’s no looking back from here. Kimly even without the full 720 screen the htc One S is still High end regardless of what you think. In fact some would prefer the build materials of the s to the x including this person right here, me. My wife has an EVO 3D with the 4.3″ qHD screen, I have an EVO 4G with CM7 on it. Her screen is noticibly skinnier than mine although it is still a decent size. I think that’s not really that big of a deal, especially with how clear it is. QHD is definitely higher res to the eyes than WVGA. What I really like are aluminum bodies, I was very impressed with the build quality on my old Mytouch 4G. I liked the soft touch & metal combination. So definately I’d like the One S more than an all plastic One X. In fact I’m going to get a Sprint Galaxy Nexus as my all plastic phone. But seeing the One S is going to have superior processor, and camera the only thing I’m really looking forward to on the Gnex is vanilla ICS, the 720 screen and buttonless interface. The One V would be the “worst” out of the 3… It is the most budget friendly and has the specs to prove it. The differences/similarities between AT&T’s One XL and T Mobile’s One S has been covered here before. Both have 16 Gigs of internal, both feature a dual core S4/Krait processor at the same clock speed. Most people are confusing the International One X which has the Tegra 3 (4 + 1 processor) with 32 Gigs of internal. Both versions of the One X have the 4.7″ 720p SLCD screen vs the One S’ 4.3″ qHD Super Amoled. See for yourself, go visit HTC’s US website and become a better consumer. It will have Sense 4.0 which is actually more lightweight than previous iterations. light weight or not it’s still sense and it looks horrible, just saying…. So, just root it and install Cyanogenmod. It’s a little complex but not rocket science. Are you ever going to learn how to write? Every post you make looks like a mentally challenged person is commenting! Obviously, you need to slow down or go back to school. @pimpstrong:disqus Did you get your Gal Nexus yet? Where did you buy it and did you have any problems getting everything to work (text and media messages) I would love to hear of your (and anyone’s opionion of which company to order from and if there were any issues that I need to edit settings, etc.. to get messages to go through properly. Or was it just pop in SIM and off you go with no workarounds? If you are in the US, what store did you buy it from? Im loving my sensation!!! But next gen s4 snapdragon processors sounds so sweet. Is this the new iPhone 4G? I need one badly. I was thinking about getting this or the Samsung Vibrant from the internet? Which one is better and why? The Vibrant is a 2 year old phone with old hardware and only running Froyo. It’s an easy decision. Funny there is a galaxy nexus ad at the bottom of the site, just saying….